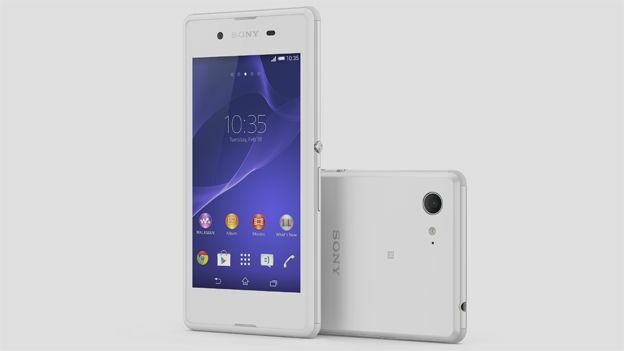 Sony's launched a brand new smartphone that promises plenty of bang for minimal buck - enter the Xperia E3. The firm reckons its flagship spin-off is a nippy powerhouse, with decent specs and a wallet-friendly price-tag to boot. While we're not yet savvy to the exact R.R.P, it's assured that you won't be paying over the odds for this mid-range handset. "We're pleased to introduce Xperia E3, a handset that matches form with function at an affordable price point," says Calum MacDougall, Sony Mobile's Director of Product Marketing. "E3 combines fast performance with impressive features, all wrapped in our flagship Z series design that you can be proud to show off." So how much computing heft does the Xperia E3 have on offer? For starters, Sony's processor of choice is a 1.2GHz quad-core Snapdragon 400 CPU, courtesy of Qualcomm. Also on hand is an Adreno 305 graphical processing unit, 1GB of RAM, 4GB of built-in flash memory, and a microSD slot that'll take up to a 32GB storage boost. The phone also touts a 5MP rear-facing camera that'll shoot 1080p video, as well as a selfie-friendly front-facing snapper. The usual raft of sensors make an apperance with the Xperia E3, namely an accelerometer, light sensor, proximity sensor, and magnetometer. Connectivity seems to be on point, with the E3 supporting 4G LTE networks, plus Bluetooth 4.0 and WiFi. Juice is provided by a respectable 2,330mAh li-ion battery, with Sony promising over 12 hours of GSM talk time and north of 706 hours on standby.